Jio had previously offered free 4G SIM cards with unlimited usage for three months to Samsung Galaxy A Series phones and Galaxy S6 and S7. Now, Jio has extended the Jio 4G Preview Offer to more phones from Samsung and some phones from LG has also been added to the list under the offer. How to Get the Jio 4G Preview Offer? On your phone, download and install the My Jio app and when asked, download all the Jio apps. When you see the option to get the Jio Preview Offer, just tap on it. Confirm your phone number using OTP, then it will ask you location and verify whether their service is available in your city f not. Just fill the details and tap ‘Next. 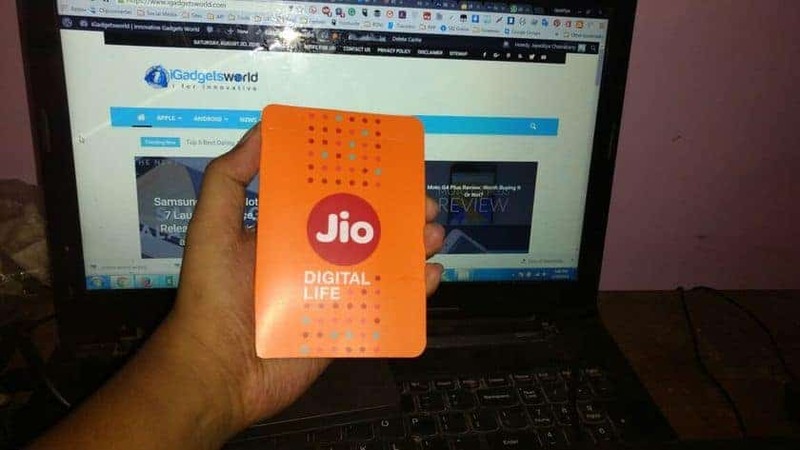 Then you will be offered the code which you will have to show to Reliance Digital or Jio officials to get the SIM card for free. Which phones are eligible for the Jio 4G Preview Offer? Earlier, only some phones from Samsung A series and the flagships, some of the iPhones were eligible for this offer. But now, the offer as been extended to even entry level smartphones from Samsung and also, if you’re an LG smartphone user you can check out the list to find out if your phone is eligible. Here’s the complete list. UPDATE: NOW ANY 4G HANDSET USER CAN AVAIL THE JIO 4G PREVIEW OFFER, ALONG WITH THE PHONES MENTIONED ABOVE IT WILL WORK FOR OTHER 4G ENABLED PHONES AS WELL. Download the MyJio App from Google Play. Open App and it will show you a list of Jio apps. You shall see a screen with the following options: Sign Up, Sign In and Get Jio Sim. Tap Get Jio SIM’ option. It will generate a barcode for you. Take a screenshot of the barcode. Go to Jio Office, Reliance Digital with a valid ID proof and address proof, and you passport size photo. Show them the code you generated from MyJio app. Submit your ID and address proofs, and your photograph. A new SIM card will be issued on the spot. You will get an SMS on your alternate phone number when your Jio SIM is ready for televerification. Insert the Jio SIM in your phone and call 1977. Provide all the details as asked by the representative. Within a few hours or so, the SIM will be activated.